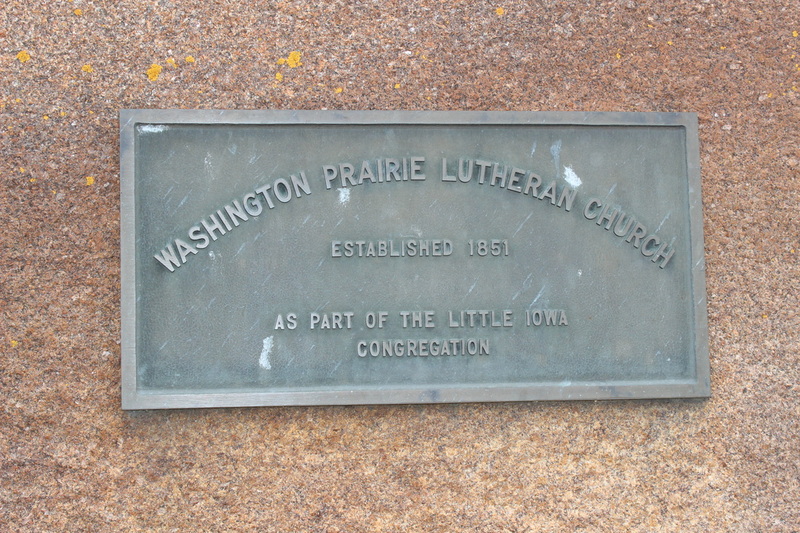 Washington Prairie Lutheran Church traces its roots to the Little Iowa Congregations, one of the first Norwegian Lutheran congregations west of the Mississippi. Washington Prairie was the spiritual center of the Decorah Norwegian settlement and the home congregation of its first permanent pastor, Ulrik Vilhelm Koren. Pastor Koren and his wife Elisabeth arrived on December 22, 1853. Pastor Koren was instrumental in bringing Luther College to Decorah. Hymn #356 in the Lutheran Book of Worship, "Oh, Sing Jubilee to the Lord," was written by Pastor Koren. Pastor Oscar Engebretson directed the efforts to build the present Parish Hall and Sunday School rooms in 1946 and 1947. It was constructed from rock obtained from the same quarries as the Church. The wood in the Oak Room originates from a single, very large, oak tree donated by Hillman Sersland. The altar was made in Chicago from walnut and ash. It was delivered to Ossian, Iowa by wagon. The stained glass windows which grace our sanctuary were made in Buffalo, New York. The Church Building committee implemented plans for the present building in 1865. Members began quarrying the rock in 1867 hauling the 150 cords of limestone rock needed to build the church. This was all done by team and wagon along with hard manual labor. 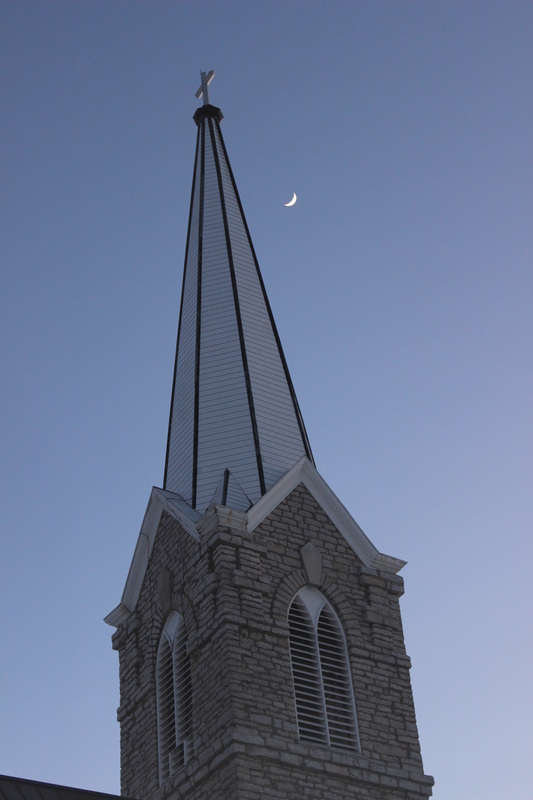 The Church was dedicated on December 17, 1873. Hasten, sinner, to your Lord." 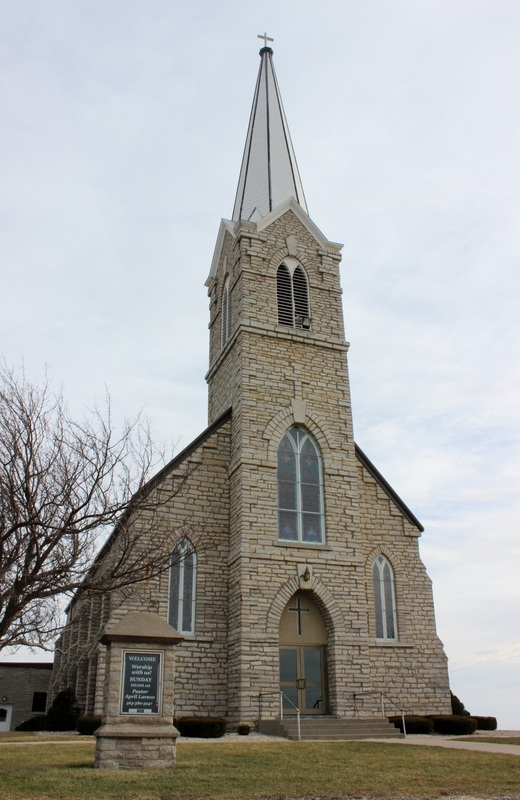 In 1949, the Washington Prairie Congregation was voted one of the twelve great churches in America according to a poll conducted by Christian Century of 100,000 pastors.